Share the gift of Adventure Rooms extertainment with others. Gift certificates can be redeemed for any Adventure Rooms event. 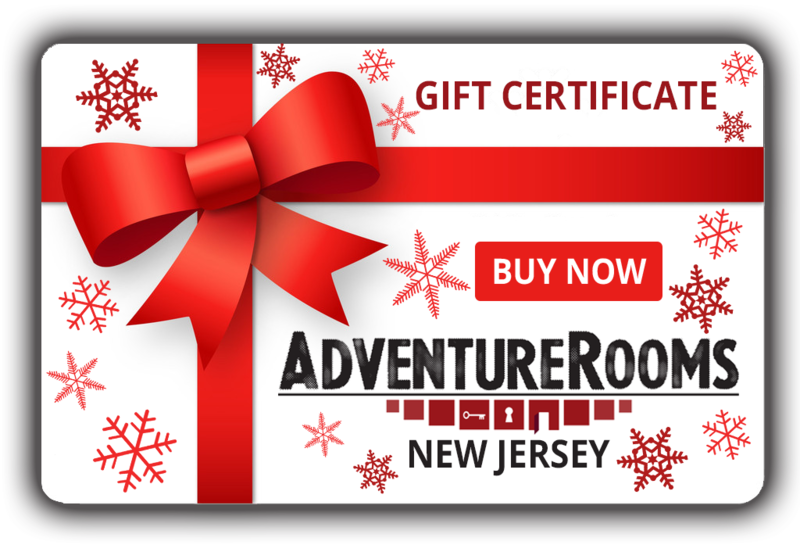 Click here to purchase an Adventure Rooms New Jersey Gift Certificate! Click here to purchase an Adventure Rooms Connecticut Certificate! Gift Certificates are location specific, non-refundable, and are redeemed in full when creating a reservation. Email or call with questions.